WONDER BOX is a drawing card case that you've never seen before. Not only just the deck case's color change, but you can perform the transformation from a deck case to other items such as coins, ropes and so on. The limitation is only your imagination. WONDER BOX is made from high quality wood and printed with a golden crown on the top. 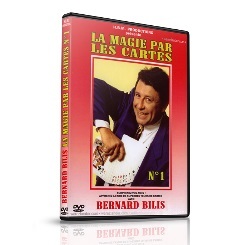 This is perfect for card magicians. Real deck comes out from the empty box. Card revelation using an Invisible Deck. Show the deck case to perform some card magic, but during the performance you can change your mind. Say 'Let's start with coin magic!' and reopen the drawer to show coins. * Deck, Coins, Ropes, Balloons are not included.